With all the hype surrounding elite athletes and the Olympics & World Records, we often forget the grass roots of sports. However, it always amazes me (and sometimes disgusts me) the rising number of youths in High School who are injured at my physiotherapy & ART (Active Release Therapy) clinic. The amount of peer pressure and parents to succeed is astronomical. Soccer is huge in BC, and it’s fair to say it’s even more popular than Track and field. That’s why I like those NCAA commercials when they say “Less than one percent of the 149,000 Division I athletes turn pro following their college career”. It reinforces the College education. If you’re really smart, take a redshirt year, compete on 3 years eligibility instead of 4, and save the remain 2 years for a Masters or Doctoral degree. Though just a freshman at Baldwin High School, Laura Saussol, 14, plays a lengthier competitive schedule than do most professional athletes. Laura’s favorite sport is soccer, which she’s been playing competitively since she was 8. “It’s intense, and I like intense sports,” Laura said. Between her high school team and Century United, a club team, she plays soccer “essentially year round.” Laura also plays basketball, both for Baldwin High and for an Amateur Athletic Union team. For the time being, it would be more accurate to say she “played,” because in a soccer game in March, Laura tore the anterior cruciate ligament (ACL) in her left leg for the second time. The ACL is a rubber band-like fiber that attaches to the femur in the upper leg and the tibia in the lower and stabilizes the knee. She may have reason for concern, said Dr. Patrick DeMeo, director of the division of sports medicine at Allegheny General Hospital, and medical director of the Pittsburgh Pirates. ACL injuries can be particularly devastating to children, because the standard repair operation involves drilling through the growth plate, which can keep the leg bone from developing normally. Dr. Freddie Fu, an orthopedic surgeon at the University of Pittsburgh Medical Center, was called in recently to do repair work on a 14-year-old boy who had had surgery to repair a torn ACL. A year after that surgery (which was not conducted by Dr. Fu), the injured leg was bowed 20 degrees to one side and was about two inches shorter than his other leg. In light of even the most successful repairs, there remains the question of what can be done about reports that girls are much more likely than boys to suffer serious injuries playing sports both girls and boys play. A study published last year in the Journal of Athletic Training indicated girls are 68 percent more likely to suffer concussions playing soccer than boys are, and three times more likely to suffer concussions while playing basketball. That study, conducted at Ohio State University and Nationwide Hospital in Columbus, also showed that girls take longer to recover from a blow to the head than boys do. The study indicated it takes less force to cause a concussion in girls, perhaps because they have smaller heads, and their necks are weaker. “The neck muscles in women might not be as well developed, and some women have longer necks than men,” said Dr. Mark Lovell, director of the Sports Medicine Concussion Program at UPMC. A major cause of concussion is a whipping motion of the neck, he said. The rate at which high school girls playing soccer suffer concussions is nearly as great as the rate at which high school boys playing football suffer them. But girls also suffer injuries at a higher rate in sports in which there is no contact. Between 1979 and 1992, researchers at the University of Washington studied 60,000 high school athletes involved in 18 sports in the Seattle area. The highest injury rate was not in football, as the researchers expected, but in girls’ cross-country. According to the study, one female cross-country runner in three suffered an injury, the most common being tendinitis in the knee, shin splints, ankle sprains and stress fractures of the leg. Football and wrestling ranked second and third in the University of Washington study. Girls’ soccer was fourth. Boys’ cross-country was fifth, with an injury rate just two-thirds that of the girls. But by far the greatest disparity between girls and boys is in tears of the ACL. Research nationwide indicates girl athletes suffer ACL tears five to eight times more often than boy athletes in the same sports do. Doctors aren’t really sure why. Part of the problem, doctors speculate, is that girls run like girls. Flexing the knee while running or jumping helps absorb shock and reduces the likelihood of injury. Testing in the sports medicine lab at the University of Pittsburgh Medical Center indicates boy basketball players flex their knees about 30 degrees in landing from a jump, said Dr. Fu, while girl basketball players flex their knees only about 15 degrees. Female hormones also increase the risk for girls, said Drs. Davenport and DeMeo. “Levels of estrogen may contribute to laxity of the [anterior cruciate] ligament,” Dr. DeMeo said. Normal physiological changes during puberty, including weight gain and changes in hip width, can also alter a young woman’s running style. By the time they reach college, most female runners adjust. But the changes are a reason why in high school female cross-country runners are often better as freshmen and sophomores than as juniors or seniors, and why they are at greater risk for injury in their high school years. Social pressures, many of them imposed by adults, likely are another factor in the rash of serious injuries young girls are suffering, Dr. Davenport said. The first step in reducing the injuries young female athletes are suffering is for parents, coaches, and the athletes themselves to realize that girls are different from boys. Doctors have a responsibility, too, Dr. DeMeo said. 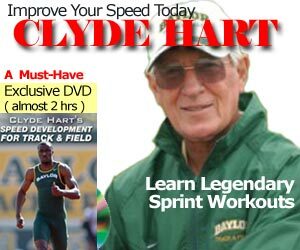 He said perhaps the best thing trainers and coaches can do is to teach girls how to run and jump more like boys. Statistics, particularly with regard to concussions, may overstate the risk to women, said Dr. Tanya Hagen, an internal medicine specialist at UPMC, and the team physician for the Pittsburgh Passion, a women’s professional football team. Data from motor vehicle accidents indicate women are more likely to report injury, Dr. Hagen said. The apparent surge in injuries to female athletes is chiefly because so many more women are participating in sport at a high level, she said.